Thousands, even millions of fans throughout the world watch the matches of the World T20 Cricket Championship with the utmost thrill and excitement. And if you’re a fan of cricket that month is probably the most intense period of the year for you. However, it doesn’t mean that you can enjoy cricket only when there’s a championship underway. Perhaps the best thing to do when you’re trying to kill some time off before a game of cricket commences, or where there isn’t any actual games on is to play cricket on your iPhone or iPad. Yes, there are lots of popular and fun cricket games that can be downloaded from the App Store. Alternatively, you can play online casino games, that’s fun too and you might even earn a bit of money as well. Check out this review of Crazy Vegas, or, alternatively visit https://www.casinoaus.com.au/ for reviews of the best casino sites for Aussies. Now, we will present you the best, most popular cricket apps for iOS. First is World Cricket Championship Lite, which was developed by NextWave Multimedia Inc. In this game you can choose to play either the World Cricket Championship or participate in a Super Fantasy Cricket League. The game features a ShoutBoard where you can communicate with other players and meet new friends. The professional commentary and the highly detailed stadiums with impeccable graphics will make you feel like you’re really playing cricket in front of thousands. You can watch any great wicket in replay and the game also has a Slow-mo feature. You can invite your friends and create your own team and play in asynchronous Multiplayer mode. It requires an iOS 4.3 version or newer. The game is iPad compatible. 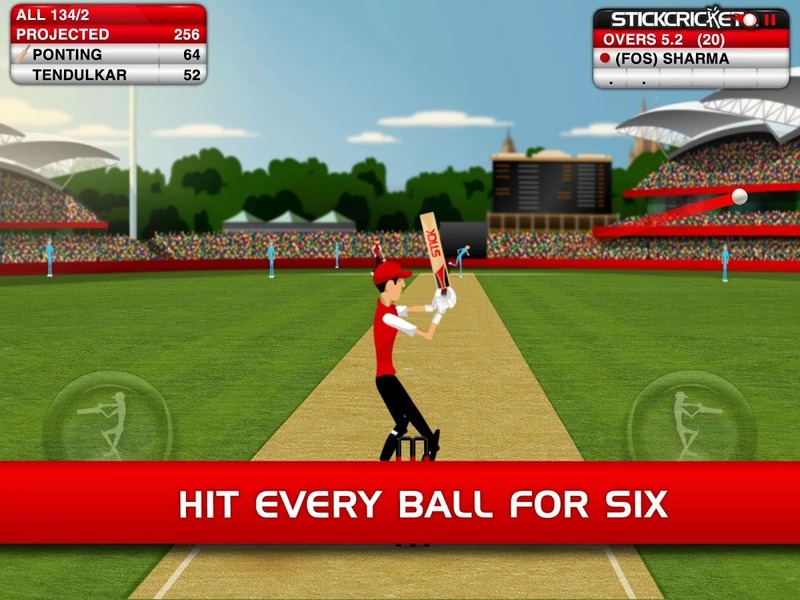 Stick Cricket has been described as one of the top cricket game apps by some of the leading publications that review games. And it’s quite popular amongst fans as well. A lot of people have already downloaded it from the App Store and enjoy playing it on their iPhones on a daily basis. This games comes with a vast range of different features and playing options. All you need to do is win games and unlock new features and competitions. You can participate in the World Cup and lift the most wanted trophy in cricket. Alternatively, you can defeat country after country and eventually dominate the world of cricket. You can test your skills, track all your stats as a player and compete against your players, either via Wi-Fi or Bluetooth. 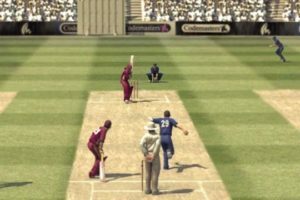 Stick Cricket has another version which is also quite popular, almost as popular as the original- Stick Cricket Premier League. The game is also available in an HD version. The high-quality gameplay and the amazing graphics are all the same, the game though features many other options. Here you can customise your own captain and then use your bankroll to build a dream team. There are more than 50 Star players to choose from and a lot of other players as well. You will also have the ability to recruit coaches. You will have only 5 seasons to establish yourself as a serious player in the Premier League, don’t miss out on that. 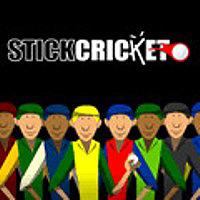 Cricket World Cup Fever, as the name suggest, is another game based on the ICC World Cup. The game included a couple of updates which fixed some of the issues and really enhanced the performance. Cricket World Cup Fever features extra 3D quality in Full HD. You can choose from 14 teams and there are 6 different stadiums available. There are 3 difficulty levels to choose from. You can control the changing of the bowling and batting order and you can change your bowling strategy in game. The size of this game is 135 MB and it was developed by Indiagames Ltd.
Last but not least, we have Cricket Play 3D. This game can be played on iPhones, iPads and iPods. It features a full scale bowling mode, which is particularly popular among fans. It also features a range of innovation shots such as the “Scoop Shot” and the “Helicopter Shot”. You can even experience the real power of the shots via the vibration feedback. You can choose from all major cricketing nations in the world- India, Pakistan, Australia, Bangladesh, England, South Africa, Sri Lanka and the West Indies. The game features 3D graphics and Live TV style camera.